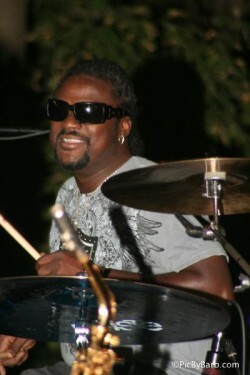 Arthur Thompson started drumming when he was four years old. He has performed and recorded with bassist Marcus Miller, singer-songwriter Toby Keith, and saxophonist Tom Braxton, but he’s best known as the drummer for Tulsa’s own much-loved and sorely-missed Wayman Tisdale. Arthur uses his music to teach and heal – helping at-risk students learn mathematical concepts through musical notes and scales with his Math and Music curriculum and teaching children how to play Djembes, Tubanos and other African instruments. Arthur also created and directs an African drum and dance troupe, A Taste of Africa, introducing audiences to the African diaspora through sound and movement.